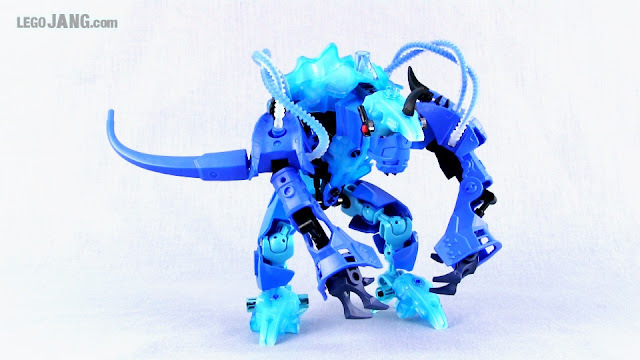 Here's a brand new Hero Factory creation that has crept up out of the blue... drenched in... blue. The above does not show anything that is in any way final, nor indicative of what the final layout will look like, or how it'll be arranged! This is just a peek at a part of the ongoing process of experimentation as I work on my actual layout on the computer, and place various temporary arrangements on my new tables to get a better idea of the real size & scale of various constructs. In other news, I went back to the store & got a couple more tables after settling upon the very most efficient & effective arrangement for the space I have to work with! 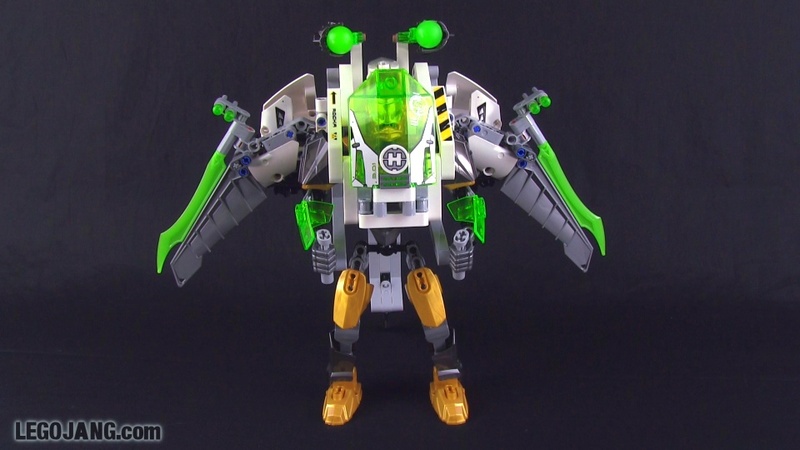 My big Bricklink orders have also been shipped, though they're coming from overseas, so it may take a couple weeks for them to arrive. LEGO Legends of Chima Cragger's Command Ship 70006 review! 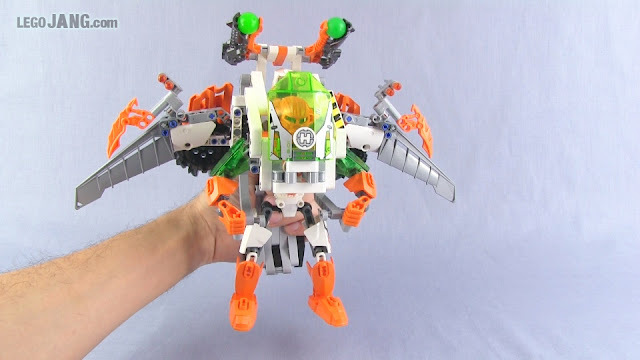 Video: LEGO Legends of Chima Cragger's Command Ship 70006 review! Exclusive peek #4: Tables are up, the city has a foundation! I'm now kicking my BlueLink work into high gear as I explore a couple of different options for arranging the tables. The new space is almost twice as large as the space I expected when I showed my first digital draft of the city arrangement, and the shape is also completely different. As a result, I've had to scrap the old design altogether, but I'm making quick progress towards something viable for the new space. 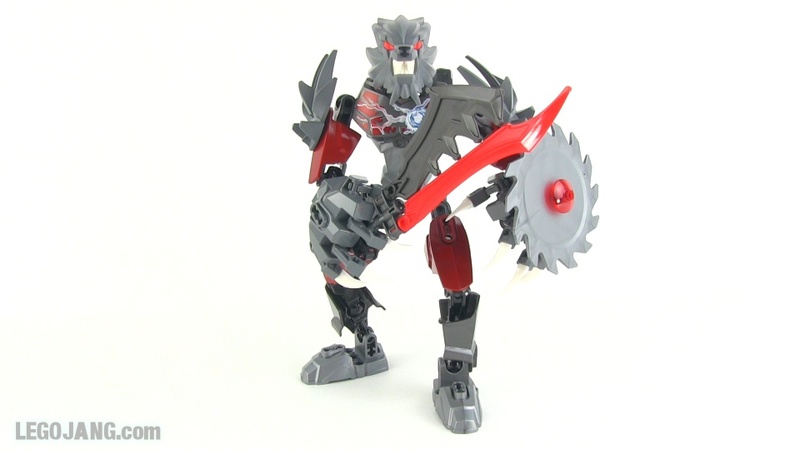 Last night, I also made two huge parts orders on Bricklink. Unlike the last BL haul video I shared on YouTube, though, these new orders actually include crucial numbers of essential parts for making my city a reality! Exclusive peek #3! Construction underway on my LEGO city! While folks on YouTube are clamoring for updates on my LEGO city, folks like you who follow the blog for updates get to watch the transformation in real time! Above is 350 lbs. of tables pre-assembly, and below is the first one erected into final(ish) position! Exclusive peek #2! Equipment on the way for my LEGO city! Another important milestone. 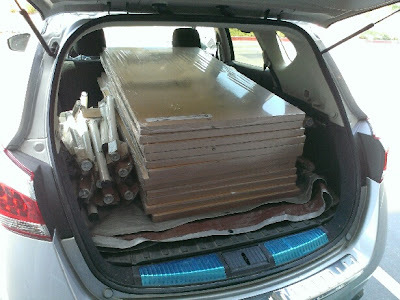 This is my car in the loading zone at Ikea, all full of the tables that will form the very foundation of my LEGO city! Exciting times! Exclusive peek #1! Construction to begin on my LEGO city! Things have changed! This is the new space I'm going to use for my LEGO city layout! Got it all cleared out and ready for work to begin! It's huge! LEGO Castle set 70404 King's Castle set review & speed build! This Castle set took longer for me to build than probably any official LEGO creation I've gotten to date. Oh, was it worth it, though! LEGO Castle set 70404 King's Castle speed build! 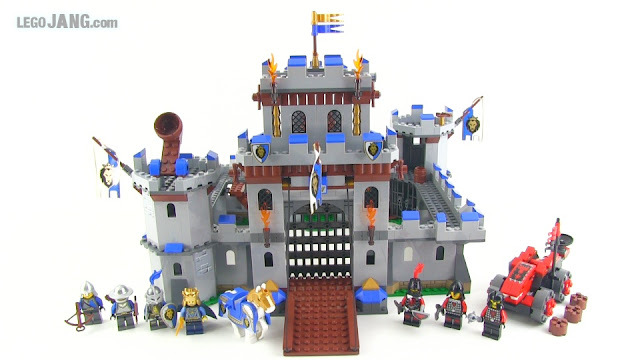 LEGO Castle set 70404 King's Castle set review! 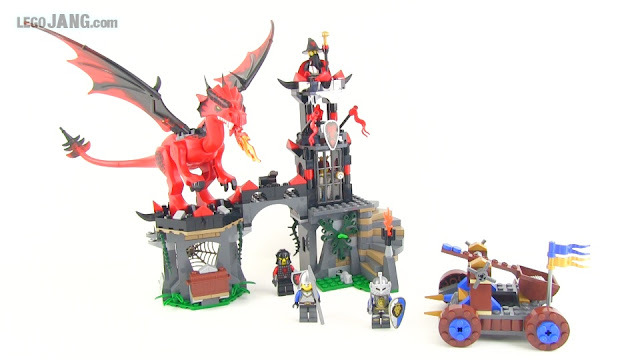 LEGO Castle Dragon Mountain 70403 set speed build & review! Here's the second largest of the "Summer" 2013 LEGO Castle sets. Just one more to go after this! LEGO Castle Dragon Mountain 70403 set review! 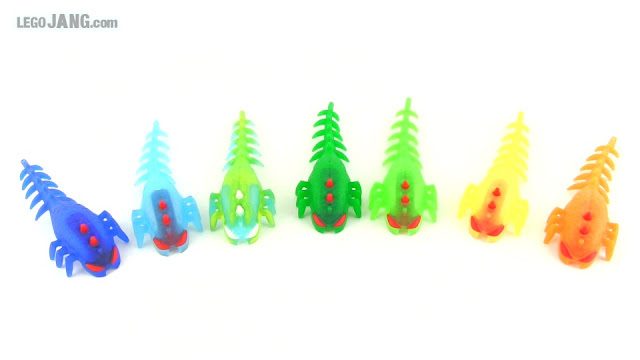 Four new videos: Haul, Minfigs, HF & Space MOCs! I continue to work towards eliminating all video backlog (easier said than done) while preparing for the start (finally) of tangible work on my big layout. More news about the latter very soon! Hero Factory evil brains: What to do with them? Alright folks, both Brain Attack waves have hit the market, and a bunch of us have these brain parasite... things. What are your ideas for new/creative/custom things to do with them? 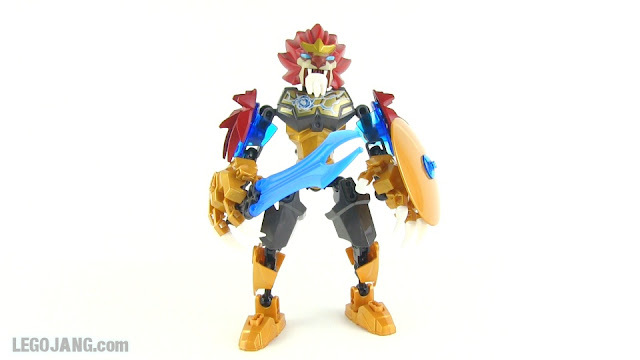 Are they doomed to become as useless as Inika kanohi or Piraka outer heads? 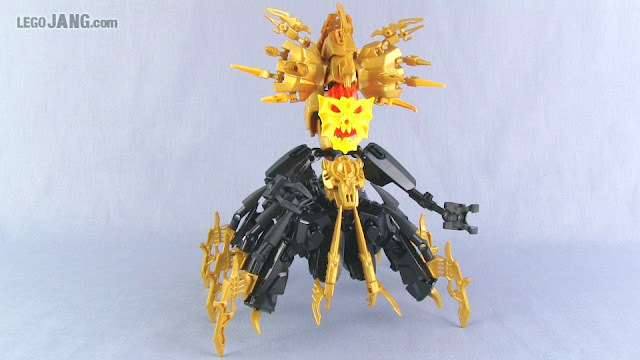 Video: Hero Factory evil brains: What to do with them? 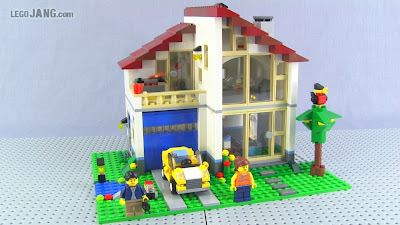 Two new houses from LEGO's Creator line for 2013, both very nice and in minfig scale! 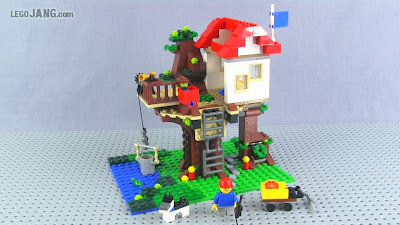 LEGO Creator Family House 31012 adv. build review! 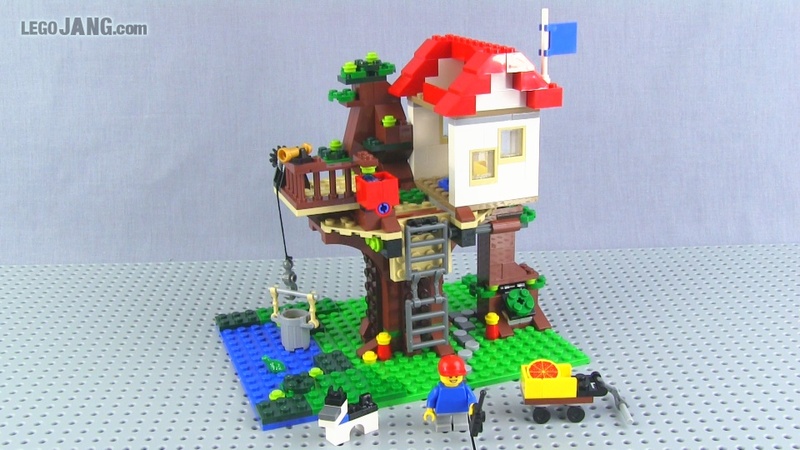 LEGO Creator Tree House 31010 adv. build review! 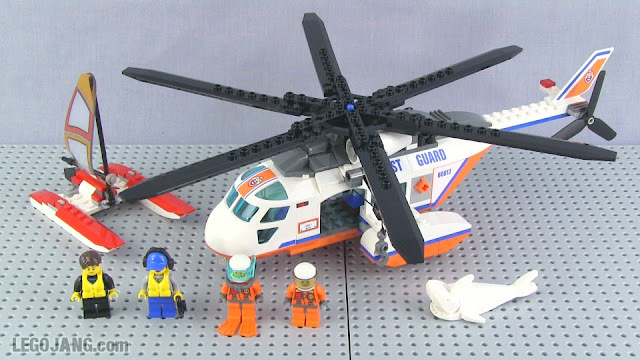 LEGO Coast Guard Helicopter set 60013 review! One of two aircraft we get in the summer 2013 Coast Guard series under the City umbrella. Video: LEGO Coast Guard Helicopter set 60013 review! LEGO Castle Gatehouse Raid 70402 set review!! 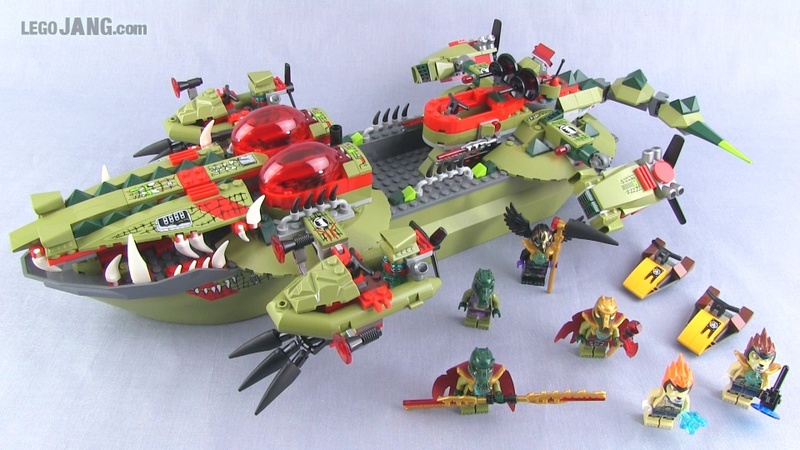 Here's another of the 2013 LEGO Castle set releases for ya! Video: LEGO Castle Gatehouse Raid 70402 set review!! 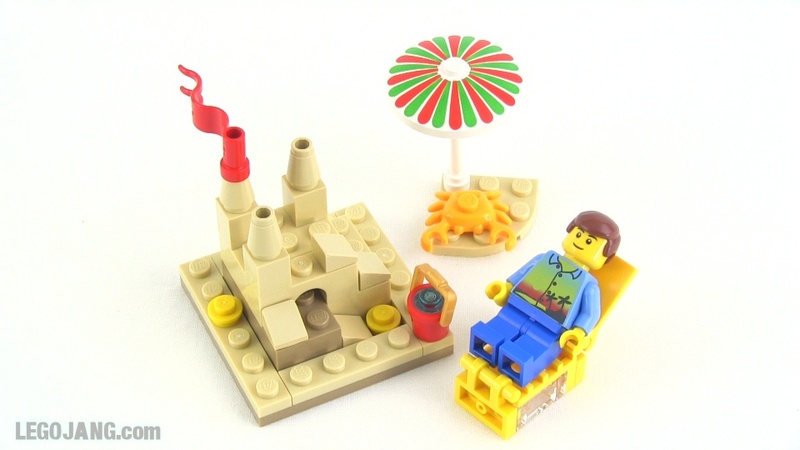 LEGO Castle Gold Getaway 70401 set review!! Another from the new fantasy era series. 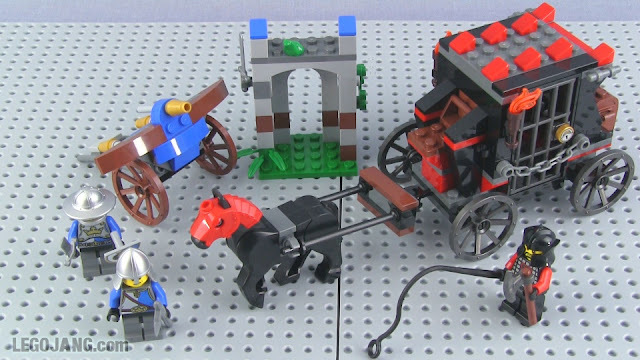 Video: LEGO Castle Gold Getaway 70401 set review! 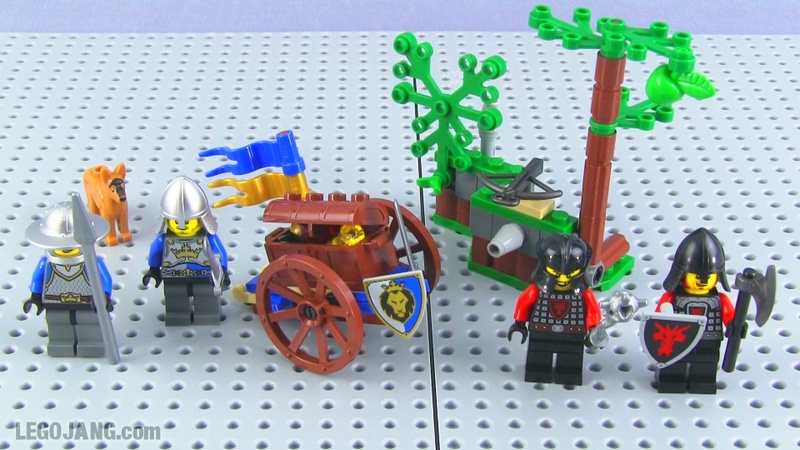 LEGO Castle Forest Ambush 70400 set review!! "Fantasy era" medieval LEGO is back! 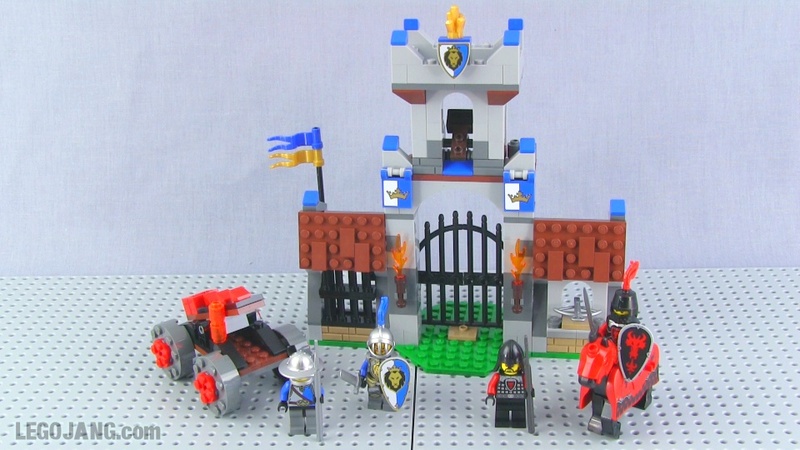 Here's the first set from the 2013 Castle series, and my first set from this type of theme, ever! 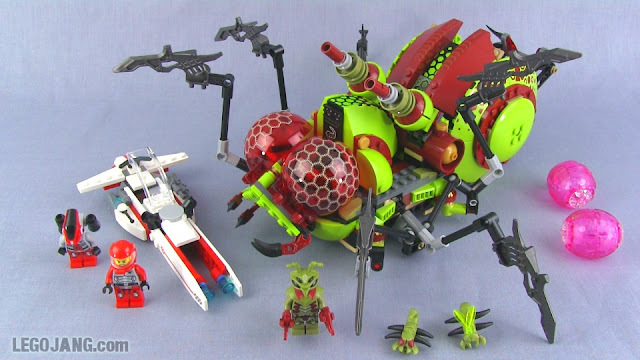 Video: LEGO Castle Forest Ambush 70400 set review!! More Coast Guard and other City videos to come! I really liked this one! 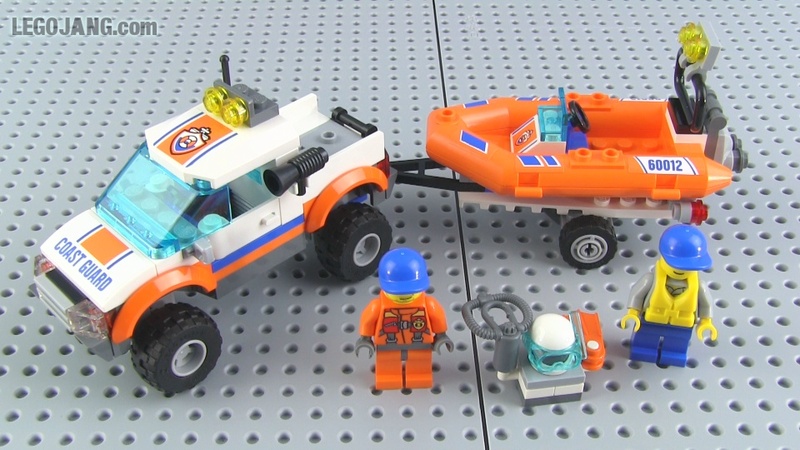 Video: LEGO Coast Guard Patrol set 60014 review! 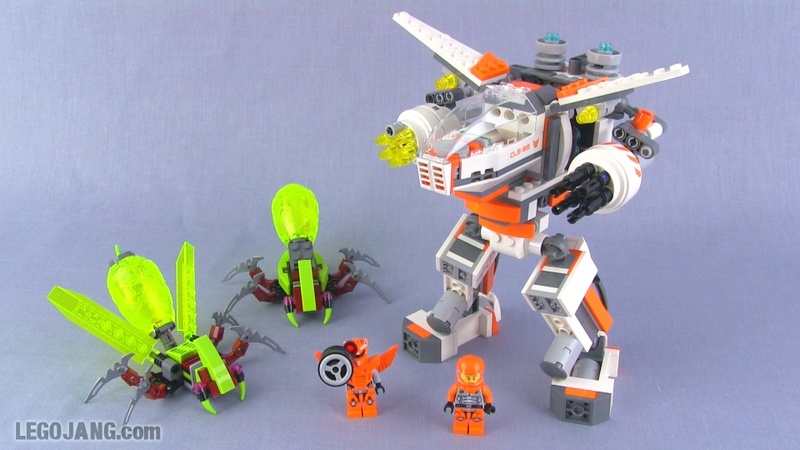 LEGO Galaxy Squad CLS-89 Eradicator MECH 70707 set review! 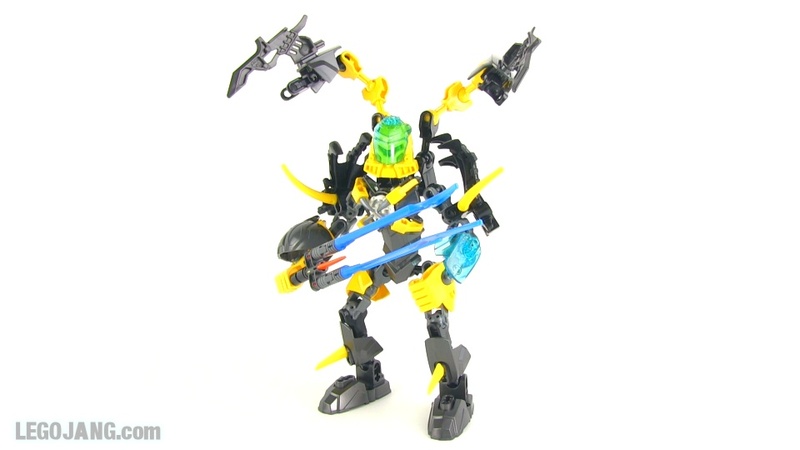 Welcome to the "Summer" 2013, wave 2 LEGO Galaxy Squad sets! My first one, with all others to follow, so keep checking back! Video: LEGO Galaxy Squad CLS-89 Eradicator MECH 70707 set review! Two more random minifigs from series 10. What do you think they'll be? With all of the official HF BA W2 models & combinations complete, filmed, and published, it's once again time for me to sum up my thoughts on them all! Share your own thoughts on these small collections in the comments section. Alright, this ends my epic one-day full round-up of the entire Chima large action figure series (not to mention the 8 other videos!). 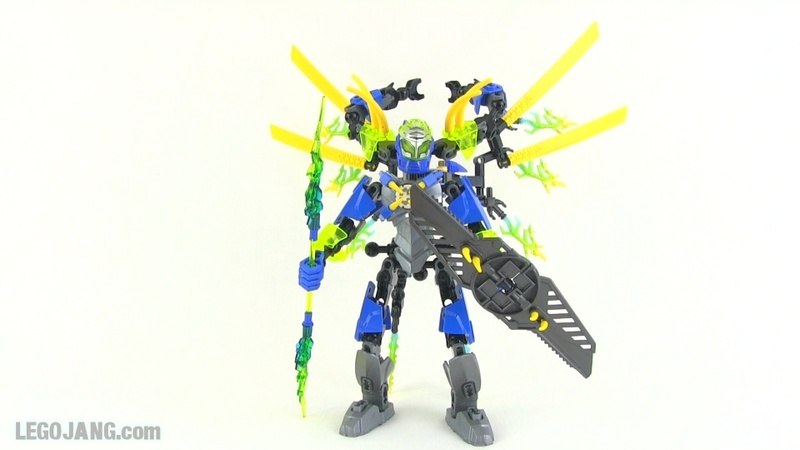 Next from me in the Chima series will be the six combination models, but I have more new Hero Factory material to publish soon as well. There's one thing that needs to be said about Chi Razar: PURPLE! 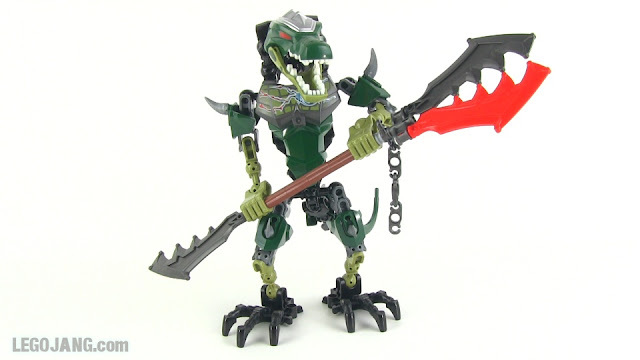 Gorzan SMAAAASH!!! Wait, what am I saying? 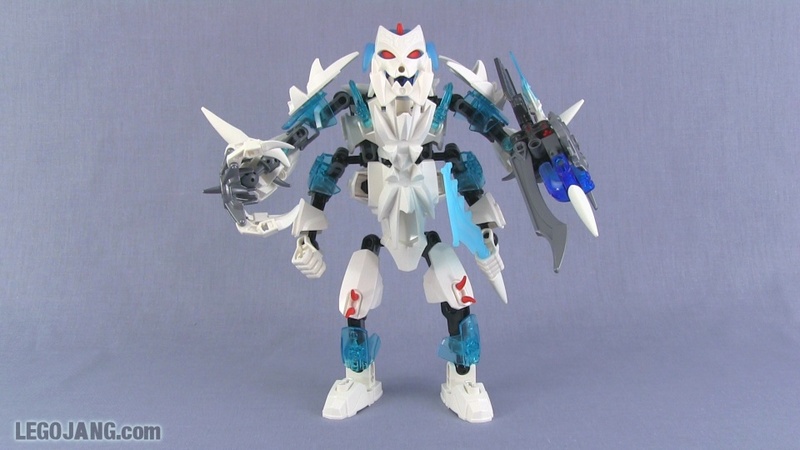 One more combiner for the history books! 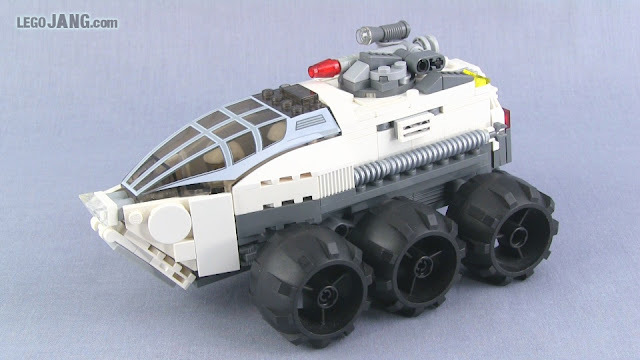 There always has to be a smallest set in any varied series, and this time around it's Aquagon. 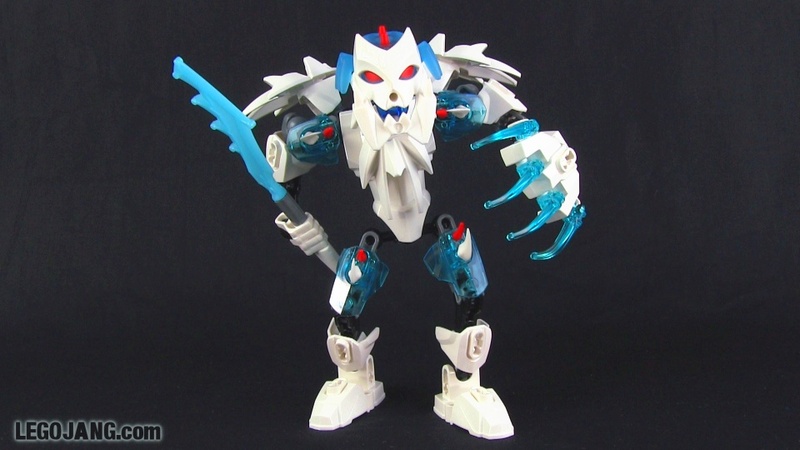 Abominable snowman, Hero Factory style? Yess!! Part 2 arrived a day earlier than expected! More excitement, but also more work to be done! Video: LEGO X-Mas in May part 2! 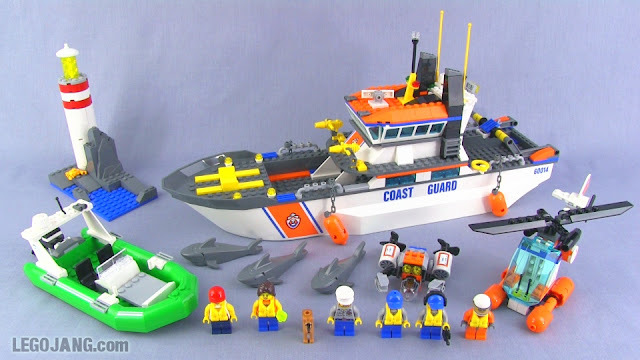 Hero Factory, Coast Guard, minifig series 10! 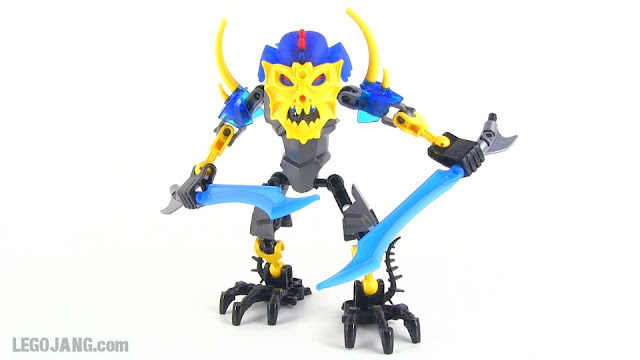 Brain Attack Stormer, online! Tons more videos to come, so don't look away for long! 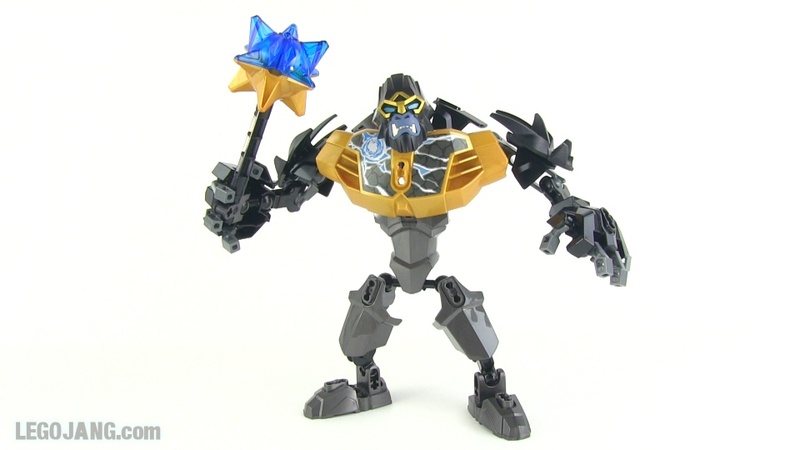 ToysRUs.com is once again engaging in their maddening LEGO release season malaise. 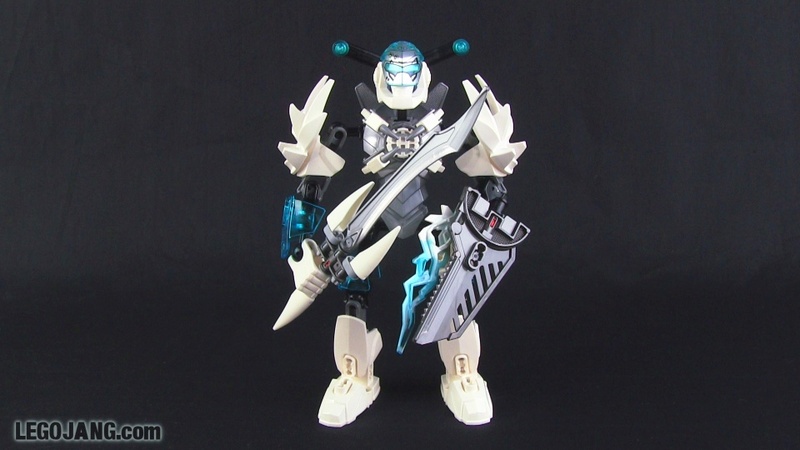 Late April through the first week of this month, all new Hero Factory Brain Attack Wave 2 figures except for Evo & Aquagon were showing as "not available online" and "in stores," though they were not yet in stores. The same went for the City Coast Guard, Chima Ultrabuild, and Galaxy Squad Wave 2 sets. On May 9th, all came in stock for online ordering, except for the 2 missing HF figs, Galaxy Squad Galactic Titan, and Coast Guard Surfer Rescue. 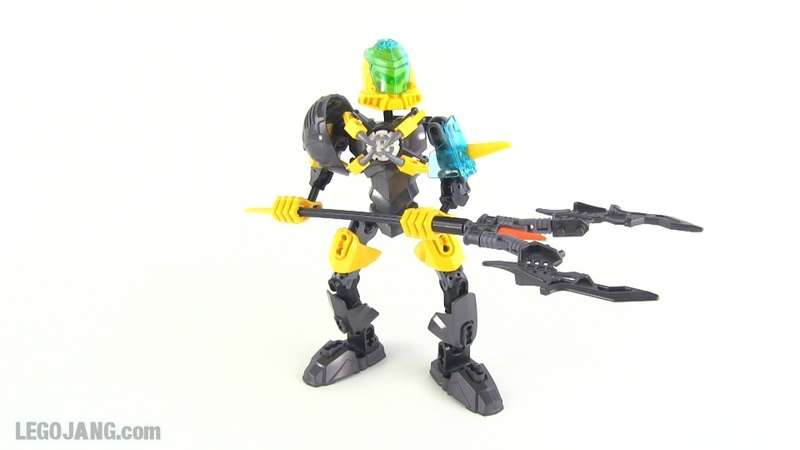 The evening of the 13th, Evo & Aquagon were added to the site, ready to order, though listed with generic & incorrect names of "LEGO Hero Factory Fall Ast1," "Ast" standing for "Assortment." 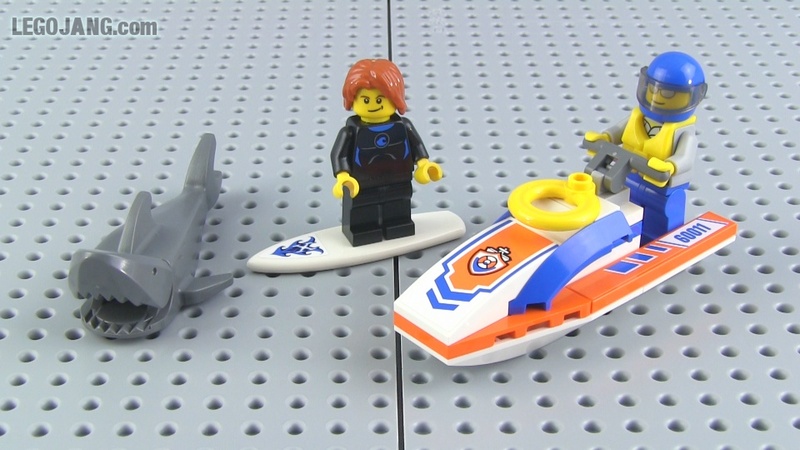 The Surfer Rescue set also came up in stock. 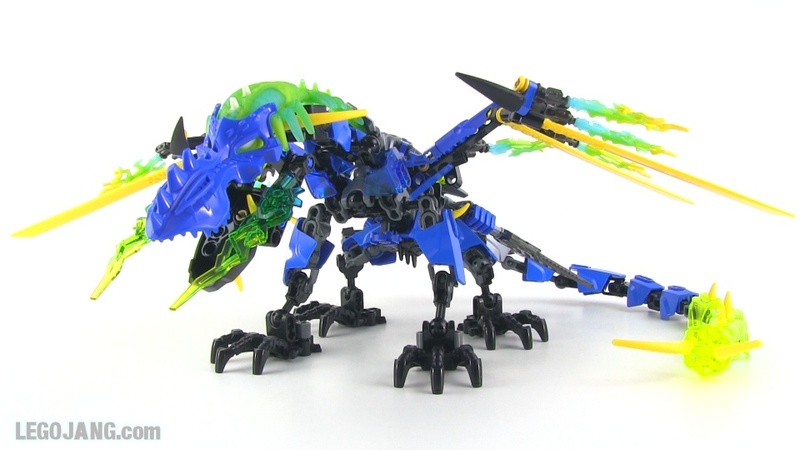 By the following morning, all of these new sets had been removed from the site entirely, except for Aquagon, who was pulled hours later. When I say removed, I mean removed. The product IDs (I saved them) now come up as invalid. 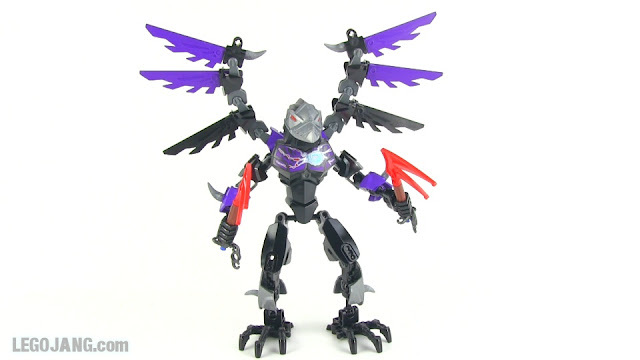 It's endlessly frustrating that this sort of madness occurs every single time there's a new major LEGO release. In the United States, Toys R Us is frequently the first source for new sets, before LEGO stores even, and folks who want the sets quickly need to rely on either astounding luck or the spare time to check the TRU site every hour (if not more frequently) to catch products the moment they appear (sometimes with wrong names, or in wrong categories making them hard to find), before they get removed, re-added as "out of stock," removed, moved, renamed, and then re-listed days later. Does anyone have any inside information from TRU to explain this insanity? 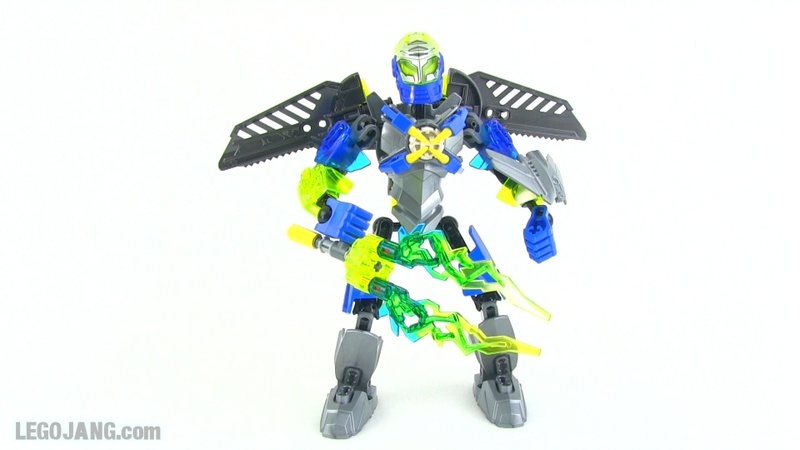 PS: Don't worry, I did get all of the new sets. Christmas in MAY part 1! 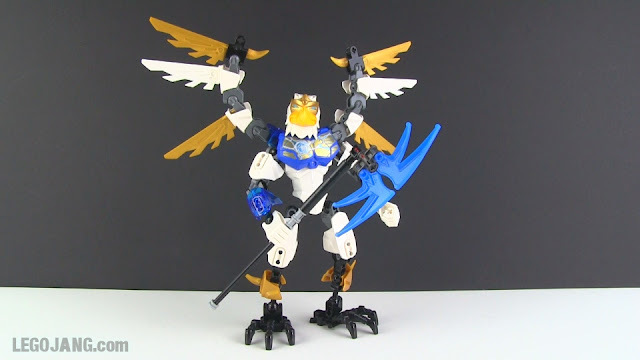 LEGO Chima, Hero Factory, Coast Guard, Galaxy Squad! If you read the title, you read it right; this is part ONE, of two! An epic haul of new Chima Legends ("Ultrabuild"), Hero Factory Brain Attack Wave 2, Galaxy Squad Wave 2, and 2013 City Coast Guard sets! 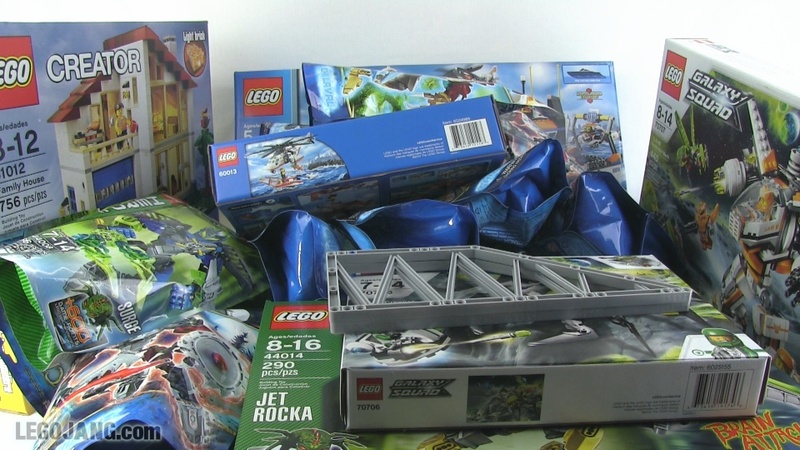 Video: LEGO X-Mas in May part 1! Here we go with my first Brain Attack wave 2 hero review, set #44008, a.k.a. Best Surge Ever. It's here! My first Hero Factory Brain Attack Wave 2 review! I had this guy in my big online order from Toys R Us, but I know that so many of you have been anxiously awaiting this new series, I went to my local brick-and-mortar TRU for one more check! 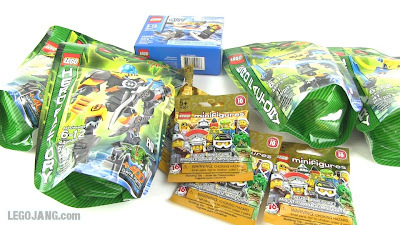 The online order arrives in 1-2 days tops, but the local store had a few new sets so I bought another just to bring you all the review as quickly as humanly possible! I hope you enjoy it! Spread the word, a massive, continuous stream of new reviews is on the way! 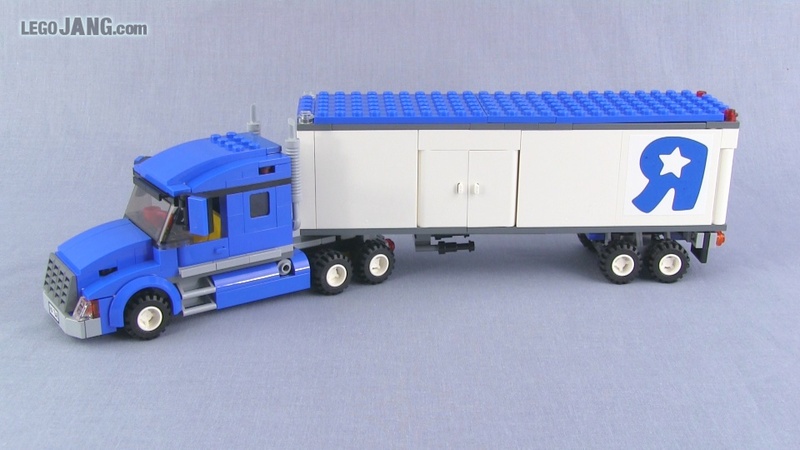 LEGO City 4206 Recycling Truck set review! 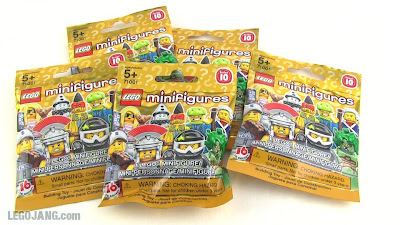 This should be my last not-brand-new set review for quite awhile, as about 15 sets are on their way from Toys R Us in one order alone, with still more new sets soon to be released! It's going to be a busy late Spring & early Summer! 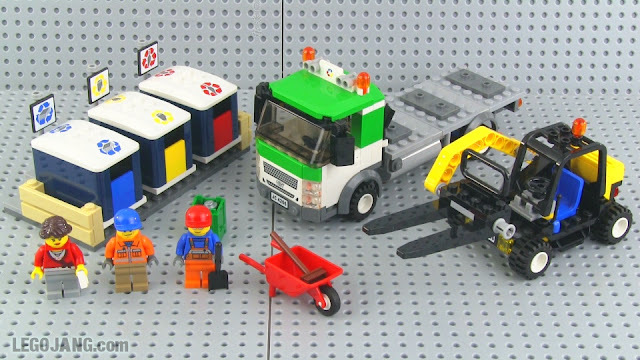 Video: LEGO City 4206 Recycling Truck set review!